McCORMICK, Richard Cunningham, a Delegate from the Territory of Arizona and a Representative from New York; born in New York City May 23, 1832; attended the common schools; entered business in Wall Street in 1852; at Sevastopol as newspaper correspondent during the Crimean War in 1854 and 1855; editor, Young Mens Magazine, New York, 1857-1859; with Army of the Potomac during the Civil War as correspondent of the New York Evening Post and New York Commercial Advertiser in 1861 and 1862; first chief clerk, Department of Agriculture, in 1862; appointed by President Lincoln secretary of Arizona Territory in 1863 and by President Johnson governor of the Territory in 1866; established the Prescott Arizona Miner in 1864 and the Tucson Arizona Citizen in 1870; elected as a Unionist as Delegate from the Territory of Arizona to the Forty-first, Forty-second, and Forty-third Congresses (March 4, 1869-March 3, 1875); was not a candidate for renomination in 1874; delegate to the Republican National Conventions in 1872, 1876, and 1880; returned to New York; United States commissioner to the Centennial Exposition at Philadelphia in 1876; First Assistant Secretary of the Treasury in 1877; commissioner general to the Paris Exposition in 1878; decorated Commander, Legion of Honor, by the President of France in 1878; declined appointments as Minister to Brazil in 1877 and as Minister to Mexico in 1879; elected as a Republican from New York to the Fifty-fourth Congress (March 4, 1895-March 3, 1897); was not a candidate for renomination in 1896; president, board of managers, State Normal School, Jamaica, N.Y.; died in Jamaica, Queens County, N.Y., June 2, 1901; interment in Grace Churchyard. 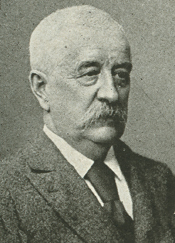 Goff, John S. Richard C. McCormick. Cave Creek, Ariz.: Black Mountain Press, 1983.